I really want to read this but the fact that the central issue mirrors something that happened to me at that stage in my life might make it harder going than you found it. Nevertheless, it is definitely going on the library list. I hope it doesn’t dredge up difficult memories, Alex. It may help to know that Gould manages an undoubtedly painful situation with a relatively light touch but without trivialising it. Oooh your site is dangerous today – another I really must add to the tbr. 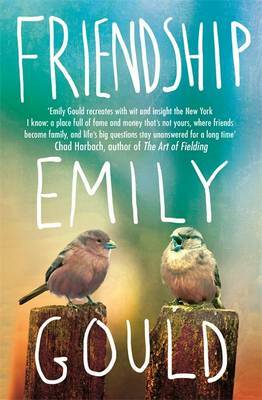 Emily Gould is a familiar name but I can’t remember any of her previous books – has she had a big hit I should be recalling? She has a set of essays out that has been much talked about and she reviews widely but I think this is her first novel. Hoping for more like Friendship.